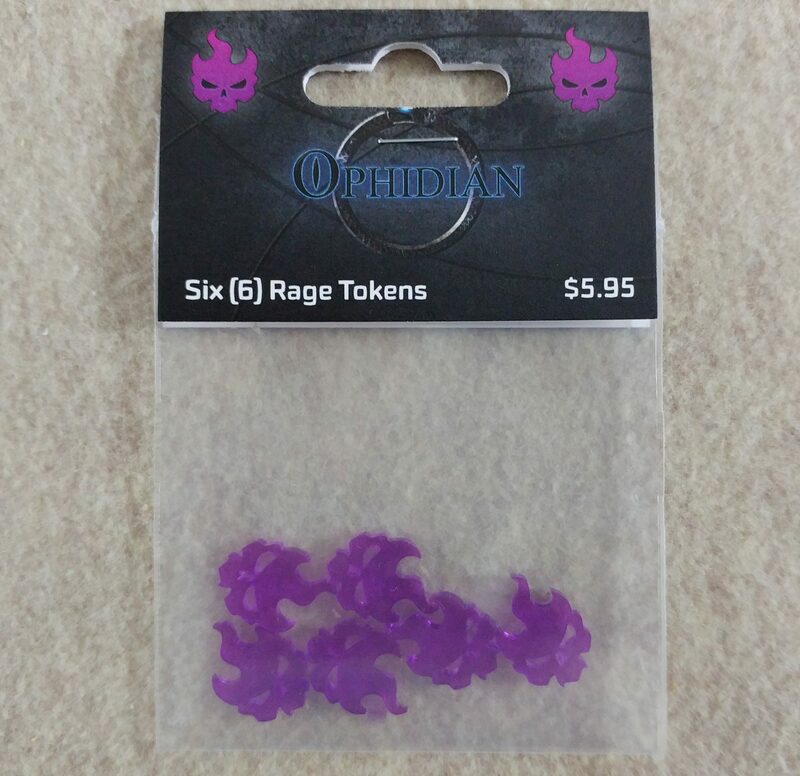 Continuing the saga that started over a decade ago, this first expansion for Ophidian will take the game to the next level, with new templates, artwork, and more! This is an ALL-NEW standalone non-collectible game that is 100% backwards compatible with the previous release. This campaign successfully funded and was shipped. If you are looking for our current Kickstarter campaign, click here! Energy and Damage, the Cornerstones of a Balanced Breakfast! Artwork and An Exciting Surface! Update #1: Halfway there, and in less than 4 hours! Update #3: FUNDED! We’re just getting warmed up! 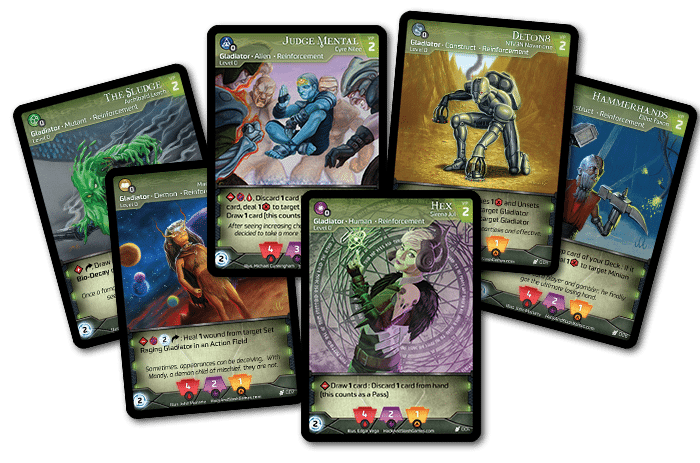 Update #4: Approaching One Week – Stretch Goals on the horizon! Update #5: 10K achieved! New Playmat Design! Update #6: Social Stretch Goal Unlocked! Update #7: Closing in on 100 Backers! Update #8: 100 Backers… and counting! Update #10: Campaign Update #10 – So Much Awesome! Update #11: Campaign Update #11 – The Final Countdown! Update #12: Campaign Update #12 – Just a Few Days Left! 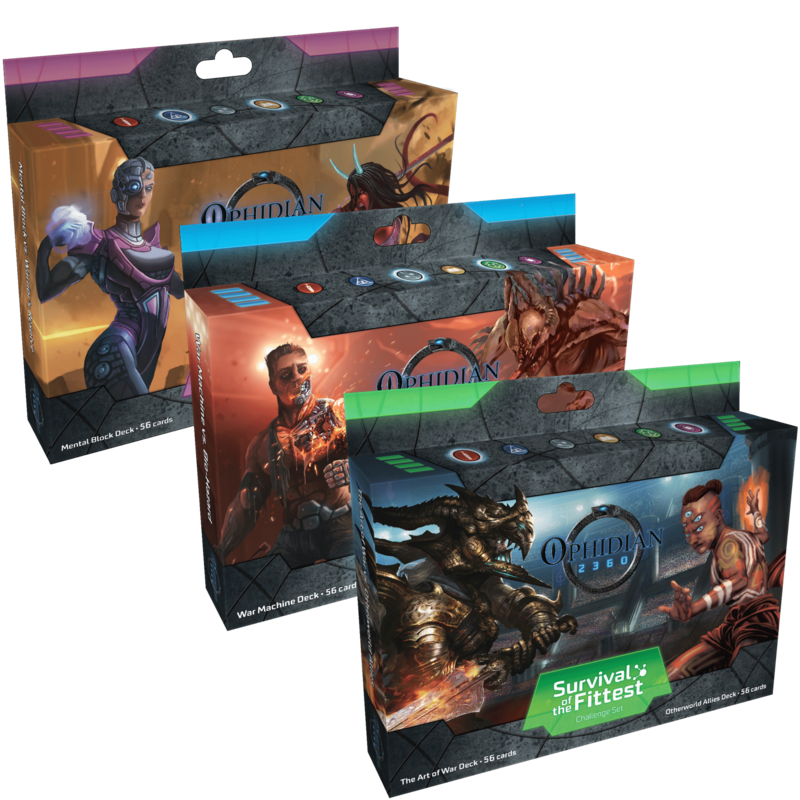 Update #13: Campaign Update #13 – Major Update: Ophidian with Style & BIG NEWS! Update #14: Campaign Update #14 – Less Than 3 Hours to go! Update #15: Campaign Update #15 – Thank You! Update #16: Campaign Update #16 – We Did It! Update #17: Campaign Update #17 – Keeping the Lines Open!! Update #18: Update #18 – This Week’s Update! Update #19: Product Configuration…and more! Update #20: Happy Mother’s Day, or Happy May 8th! Or both! Update #22: We’re Still Moving and Supporting the Troops! Update #23: Memorial Day, and new content! Update #24: Surveys nearly complete! Update #25: Almost There! Heading to Press! Update #27: Proofs are in! Update #28: Less than two weeks away! Update #29: Shipping has started! Update #30: Time is running out! 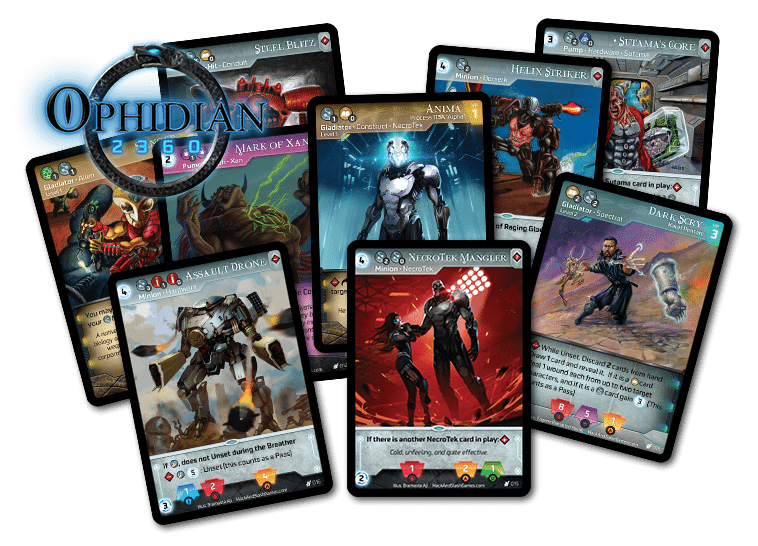 If you are interested in playing Ophidian now, Ophidian 2350 product is currently available from Alliance Game Distributors, ask your local store to order some today! Also, bookmark this page! 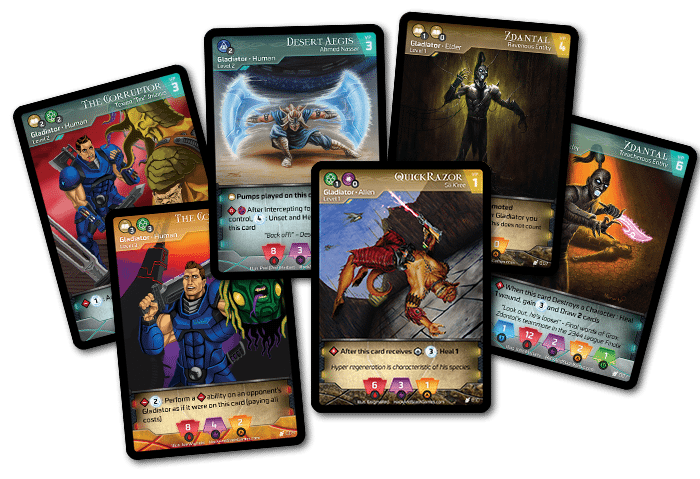 We will be announcing future Kickstarter campaigns and pre-orders in this space, including Myths & Legends!